SkyCiv is dedicated to supporting education and assisting the development of skills in our future engineers. Learn more about our Education Programs or read on to see how the SkyCiv Software is being used to compliment learning in the classroom and beyond. At the core of Statics is understanding Free Body Diagrams and the calculations of Reactions. Using the sum of forces to calculate the reactions at supports is generally the first step in solving static structures. SkyCiv hand calculations on SkyCiv Beam allows students to build any beam they like while showing the associated calculations, allowing students to track the process step by step. SkyCiv offers the same services for Bending Moment Diagrams and Shear Force Diagrams, with detailed calculations explaining the process behind the graphs. 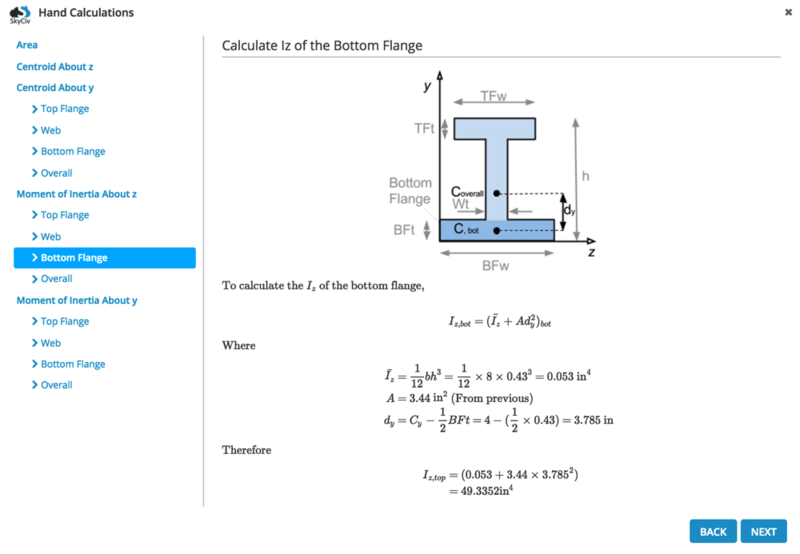 With SkyCiv’s powerful Section Builder Software, students can build any section and calculate the Moment of Inertia among other geometric mechanical properties. 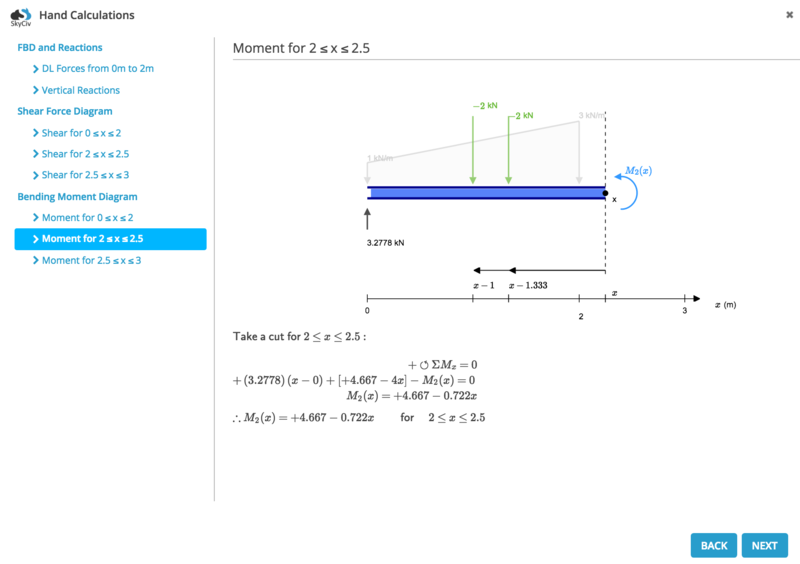 With the worked examples, students can build any of our preset shapes and track the calculations of the Centroids and Moment of Inertia in both X and Y directions. This allows users to see exactly how the results are derived and practice building their own defined shapes. Structural Analysis looks at the methods used to calculate more complex structures, including truss systems, frames and more complicated indeterminate beams. This theory is extremely important in grasping an understanding of the core principles used for Structural Analysis. Software can assist in the later stages of the course, where students are introduced to the program and how it can be used in place of hand calculations. SkyCiv has an extremely intuitive and easy-to-use interface, which makes it the perfect introductory Structural Analysis Software – with a full documentation of videos, tutorials and technical articles. SkyCiv not only allows you to model your concrete frames, but also design the columns and beams as per ACI 318, AS 3600 and EN 2. Students can actively learn how to fully design a reinforced concrete structure from start to finish with easy to use, powerful analysis and design software. Optional open reporting means students are able to track the calculations and steps taken to manually design a concrete frame. There are a wide range of final thesis projects that students can elect to research in their final year of study. Many students choose a project that requires an element of structural analysis and design. Having access to powerful structural engineering software in the cloud means students can work on their projects from any place at any time. 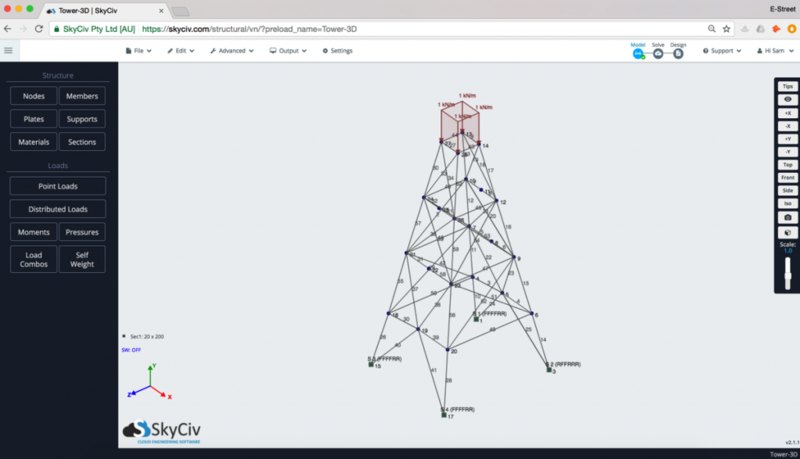 Furthermore, SkyCiv offers an Structural Analysis API for those students who are interested in repetitive analysis in research or projects that mix computing and structural analysis. SkyCiv is a fully-functional Structural Analysis Software, so students can practice and build real life designs using a powerful analysis program. Rather than complicating the UI with an overwhelming number of buttons and functions, SkyCiv provides a clean user interface without undermining its capabilities. More and more Architectural schools are teaching the principles of Structural Engineering to their students. The collaboration between architects and engineers is imperative in design. Architects who understand the terminology and principles are more equipped to work together with engineers, towards a solution that balances art and science.